As a borderline millennial, I grew up in the Starbucks generation. This was before there was one on every block in the world. And, therefore, when one opened on my actual block in middle school, it was cool beyond belief. My friends used to come over after sports practice and we’d grab lattes on the way home. Though I doubt any of them were drinking coffee at 5pm on a school night, I can tell you that I definitely was not. 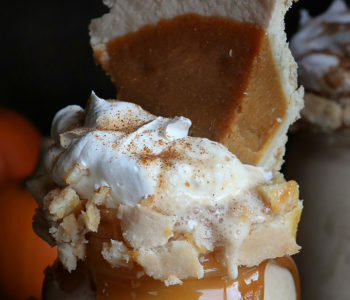 Instead, I always opted for a spiced chai tea latte. 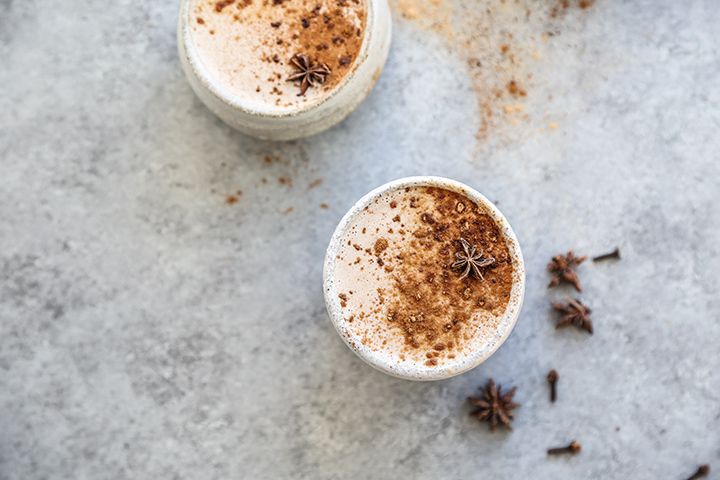 Fortunately, my spiced chai tea lattes left nothing more to be desired. 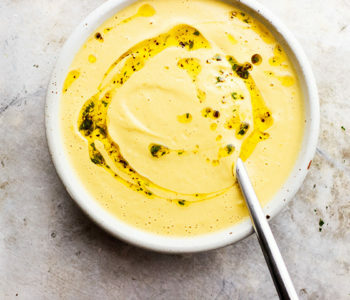 They were frothy, creamy and satisfying, containing all the soothing, sweet qualities that filled my childhood comfort foods, and the slight edge of adult sophistication that made me feel years beyond my height. In college, I started drinking coffee on the regular. But I always had a special place in my rotation for chai tea lattes. Now, it seems I’ve come (partially) full circle in my maturity. I try to stay caffeine-free for the most part, but it’s nice to enjoy a special latte that won’t send my blood sugar into a tizzy. 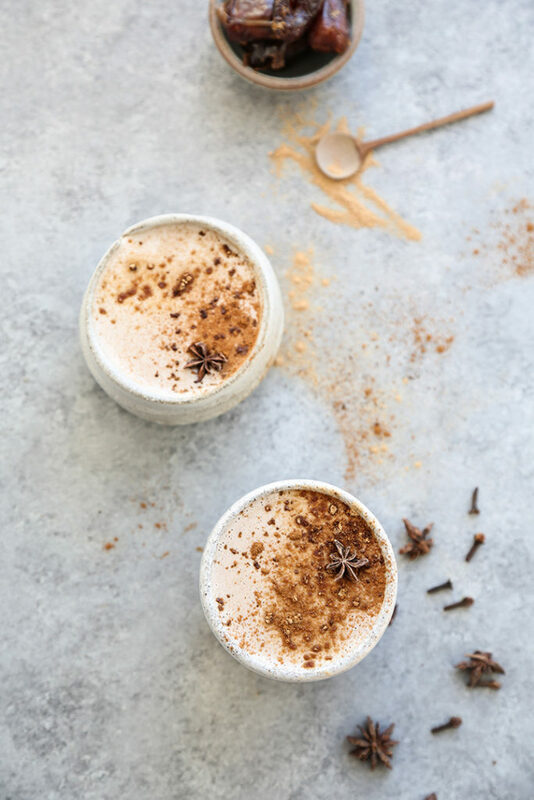 For this, I’ve taken to making these tea-free spiced chai lattes with maca powder. 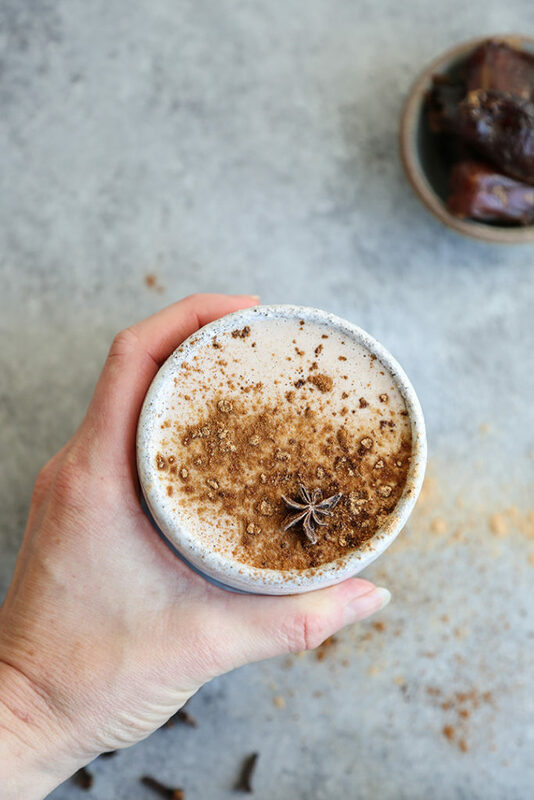 The lattes are naturally sweetened with a whole date, and get their creaminess from soaked cashews, which get pureed with the spice blend and coconut milk in my Wolf Gourmet high performance blender. 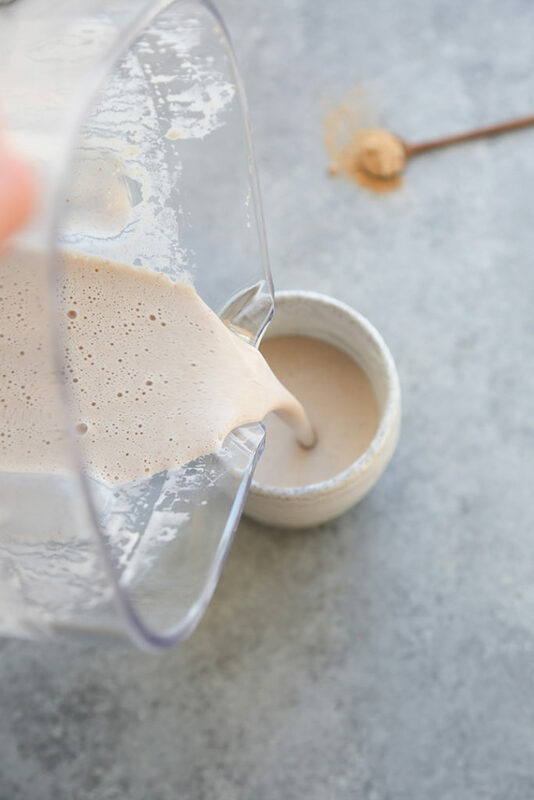 The machine’s smoothie function is perfect for making sure that the whole cashews get completely broken down, and the high speed at the end of the cycle ensures the latte is perfectly warm with a super frothy finish. 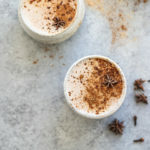 If you’re taking a break from caffeine, or simply want a healthy homemade version of your usual corner coffee shop latte, I highly recommend this grown-up version of my childhood chai. In a medium heatproof bowl, cover the cashews with boiling hot water. Allow to soak for at least an hour, or overnight. Right before you make your lattes, place the date in a medium heatproof bowl and cover with 2 cups of boiling water. Allow to sit for 2 minutes. 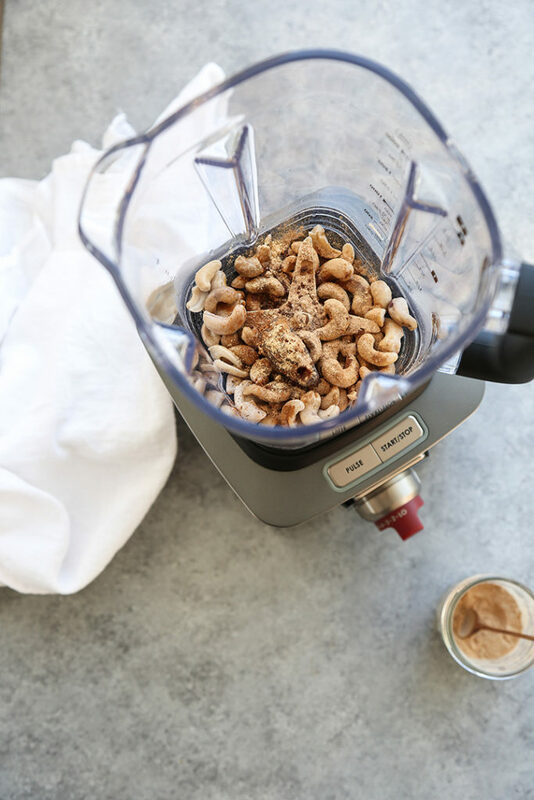 Drain the cashews and transfer to your Wolf Gourmet High-Performance Blender, along with the date and soaking liquid, coconut milk, maca powder, cinnamon, ginger and cloves. 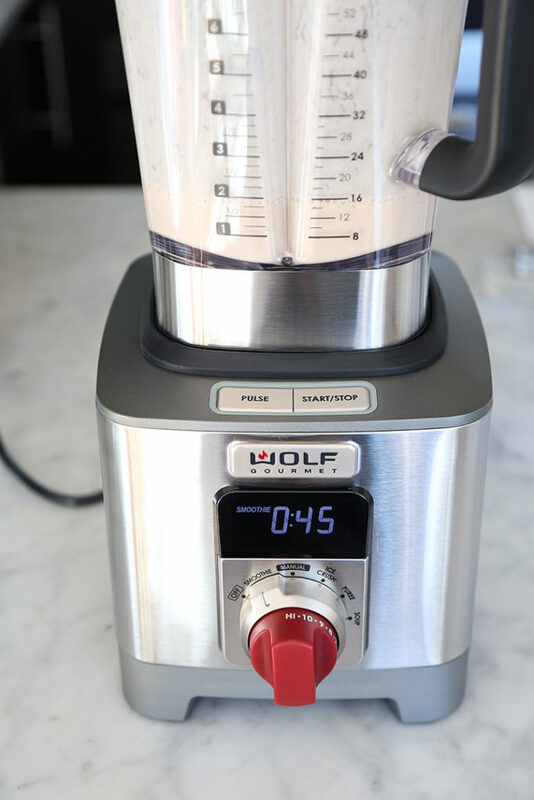 Using the Smoothie function, puree the latte mixture until smooth and frothy. If the cashews aren’t completely broken down, run the Smoothie program a second time. 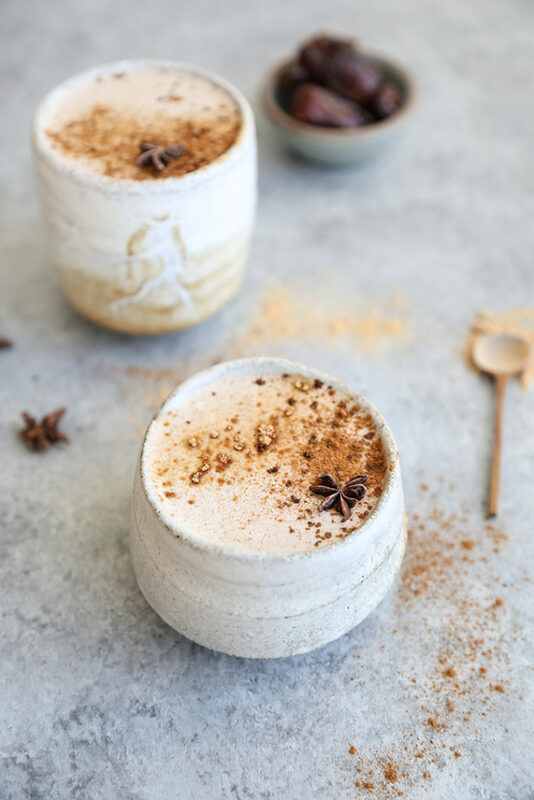 Transfer the chai tea latte to two mugs, garnish with a dash of cinnamon and enjoy. 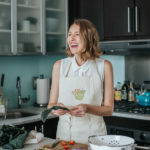 Phoebe Lapine is a food and health writer, gluten-free chef, wellness personality, culinary instructor, and speaker, born and raised in New York City, where she continues to live and eat. 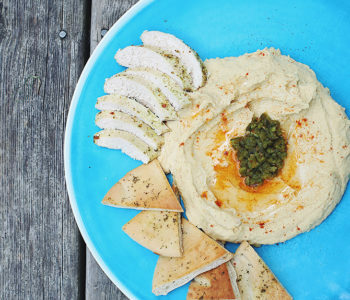 On her award-winning blog, Feed Me Phoebe, she shares recipes for healthy comfort food and insights about balanced lifestyle choices beyond what’s on your plate. Her debut memoir, The Wellness Project, chronicles her journey with Hashimotos Thyroiditis and how she finally found the middle ground between health and hedonism by making one lifestyle change, one month at a time.